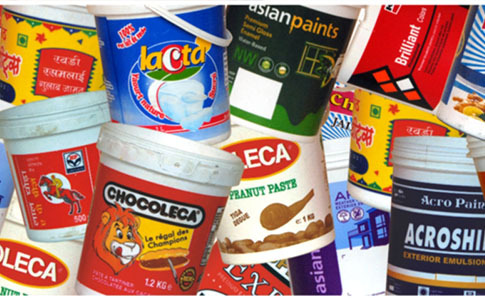 Six Color Dry Offset Pail Printer | Goldstar Dry Offset Pvt. Ltd.
Six Color UV Offset Pail Printing Machine (GD UV) guarantees high printing accuracy with features such as automatic loading, flame treatment, pre registration, auto unloading, etc. 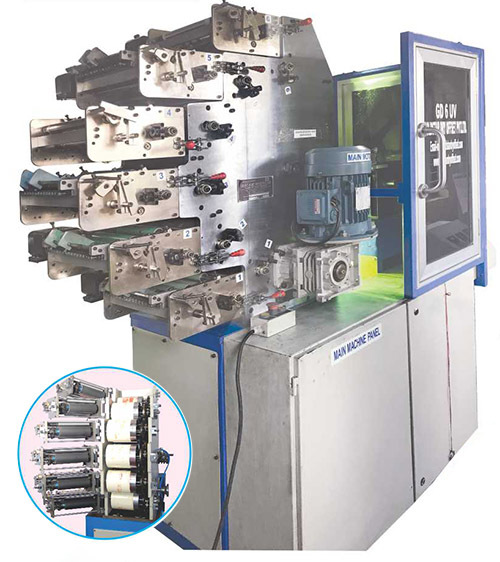 This Pail Printer includes centralized lubrication system, Micrometer lateral and radial plate cylinder adjustment. Complete vacuum system with pump that holds container on mandrels at neccessary position adds one of the important feature to our pail printing machine. This pail printer can printing about 800 impression per hour with a suitablity to print from 1 litre pail to 20 litres of pail.